Veteran Rallyist Jagat Nanjappa and co-driver Chetan Changappa to represent India at RFC 2017 Global Series Finale in Malaysia. New Delhi, November 17, 2017: After impressing everyone with their incredible performance at the Force Gurkha RFC India 2017, Veteran Rallyist Jagat Nanjappa and co-driver Chetan Changappa are all set to hoist the tricolor on the Malaysian soil at the 21st edition of the Rainforest Challenge Global Series Finale. 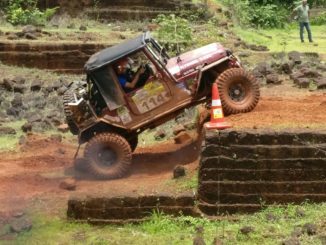 To be held from 24th November to 5th December, RFC 2017 Global Series Finale is going to be a grand clash of the best offroaders from across the globe, as they compete for the winner’s trophy at one of the top 10 toughest motor races in the world. Speaking of his vehicle, Mr. Nanjappa explained, “I’ll be driving a rented modified Jeep, turbocharged with a 2L Petrol engine. We are using a mechanical winch, which happens to be faster than the electrical ones. I’m satisfied with the vehicle and I’m hopeful that it’ll perform well.” At the age of 59, Mr. Nanjappa carries with him a vast experience in offroad motorsports and has been a celebrated Motorcyclist and rallyist, having won the prestigious National Rally Championship nine times in his illustrious career, before entering into offroading. Cougar Motorsport has played a pivotal role in helping Nanjappa realize his dream of representing India at this prestigious international event. The organization is supporting Team India by sponsoring their RFC 2017 Grand Finale entry ticket worth $3,900 and return airfare to Malaysia amounting to $914. Moreover, Cougar Motorsport is contributing a significant amount towards the cost of hiring ($6,150) the competition vehicle. This year’s edition of RFC Global Series Finale will start in Kuala Lumpur and subsequently travel to Pahang, the biggest state in Malaysian peninsula and a tropical paradise for sports & adventure-based tourism. The event will have twenty-four Special Stages (SS) that will be divided into four progressively difficult competitive legs – the Prologue, the Predator, the Terminator and the Twilight Zone. The competition will test the competitors’ strength, endurance, driving and vehicle recovery skills under extreme off-road conditions and the team with the maximum points at the end of all the SS will be announced as the winner. This is the third attempt by an Indian team at RFC Global Series Finale. 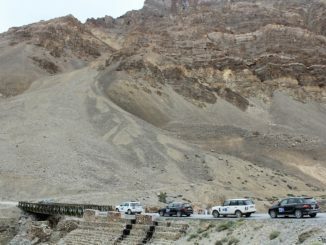 Chandigarh’s Gurmeet Virdi and co-driver Kirpal Singh Tung successfully won their category in the previous edition of the competition. Though the top 4 teams from Force Gurkha RFC India 2017, including Champions Gurmeet Virdi and Kirpal Singh Tung, qualified for the mother event in Malaysia, the other three teams are unable to participate due to personal commitments. Therefore, Jagat Nanjappa and Chetan Changappa would be the sole team among the RFC India 2017 Top Four that would represent India at the mega event this year.